IonSep DEAE-cellulose (diethylaminoethyl cellulose) and CM-cellulose (carboxymethyl cellulose) are preswollen ion-exchange media specially formulated for ease of use and high binding capacities. 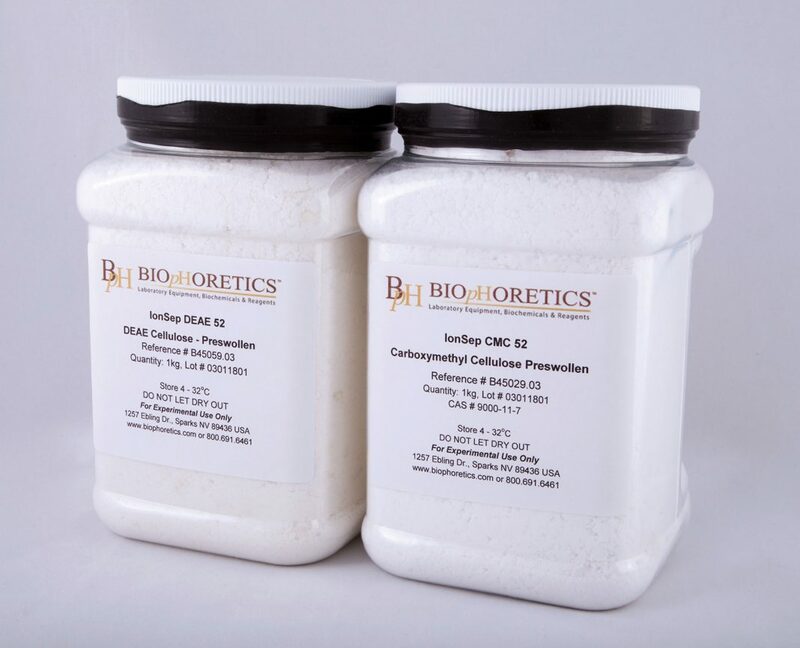 DEAE-cellulose is a weak anion-exchange resin with a protein-loading capacity of 550–900 mg/g (pH 8.5), and CM-cellulose is a weak cation-exchange resin with a binding capacity greater than 1 g/g (pH 5.0). Both DEAE and CM celluloses are preswollen to between 65% and 75% moisture content and are available in 100 g, 500 g, and 1 kg quantities.